The Takahashi Abbe eyepieces are true to the original Abbe design. They are fully multi-coated for maximum light transmission for increased contrast. The 44 degree apparent field of view and high contrast are perfect for lunar and planetary observing. When used with the Takahashi 2X barlow the image field is nearly flat. 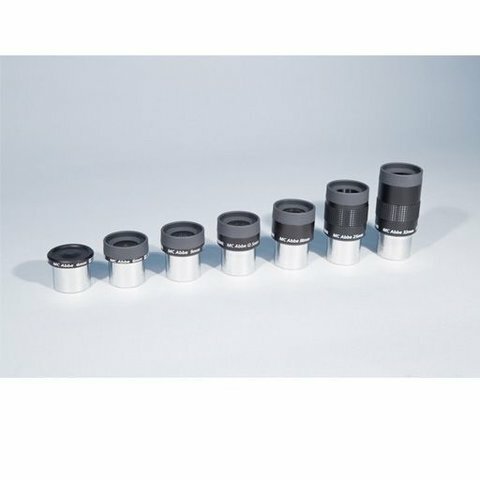 The Takahashi Abbe eyepieces come in 4, 6, 9, 12.5, 18, 25 and 32 mm focal lengths.